Add the perfect finishing touch to any tree, wreath, or gift! Great as a special, personalized gift! 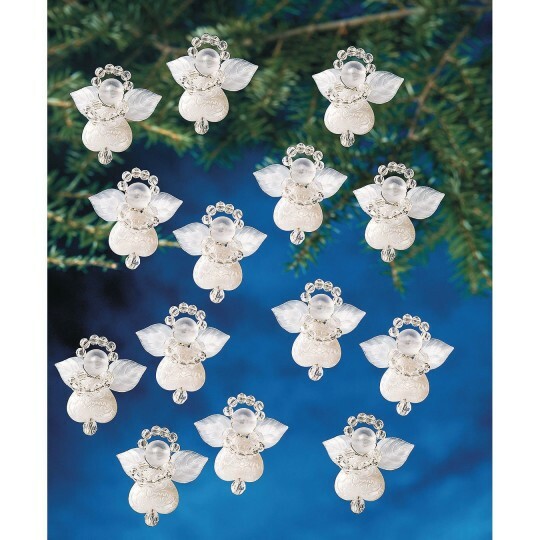 Add that finishing touch to your tree or wreath with these little angels. Kit features all the beads you need to make 24 ornaments, which also serve as a great personalized gift. Angels can also be used as pins or adornments for several creative options. Angels are 1-1/8".